This UK-qualified lawyer trained at a City law firm from 1996 to 1998 and worked in their corporate department until 2000 in international securities offerings, M&A transactions and general corporate and commercial work. In 2000, she worked as assistant editor on Global Counsel magazine and in 2001, took a career break for family reasons and raised four children. Twelve years later in 2013, she heard about Obelisk Support through a friend and with her children in school, she was ready to return to a professional career. She onboarded as an Obelisk consultant and in February 2015, interviewed to work for White & Case in their advisory practice within a busy private equity team. They wanted someone with corporate experience, someone who would be happy to muck in and help out. This was perfect for E who was selected out of four lawyers and joined the team shortly after. E’s story is a very inspiring one for anyone who thinks that they’ve been out of the legal world for too long. When you are determined and hard-working, you can do it. 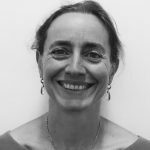 Bilingual French/English, this UK-qualified lawyer started her career as a paralegal and then joined Puxon Murray LLP in 2009 where she trained and qualified as a corporate solicitor. It was a small firm (two partners) with a mainly SME- client base but she gained great experience in corporate, litigation and some IP, trademark work. She had done some translation work as well, and had experience in telecoms (company sale/ agreements/ regulation/data protection). She left in 2014 as she really wanted to progress her career and became a freelance lawyer. In 2014, she found out about Obelisk on LinkedIn and signed up as an Obelisk legal consultant. In April 2015, White & Case asked for “a lawyer on 3-month contract, a lawyer to support some senior lawyers in their team with general corporate work, private equity and private company experience.” She interviewed with two other lawyers and was selected, starting right away. The 3-month contract ended up lasting over a year at which point, White & Case was so enthusiastic with her work that they offered her a permanent position. For D, a freelancing career was a springboard to permanent employment in the legal industry.